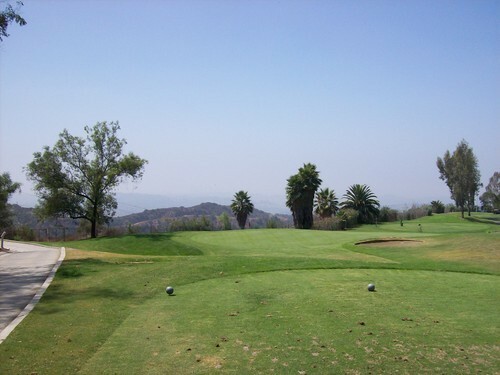 Yesterday, I participated in my third event with the LA Golf Group. It’s a fun bunch of guys and the competition isn’t too serious, so it’s a good excuse to get out and play some different formats. 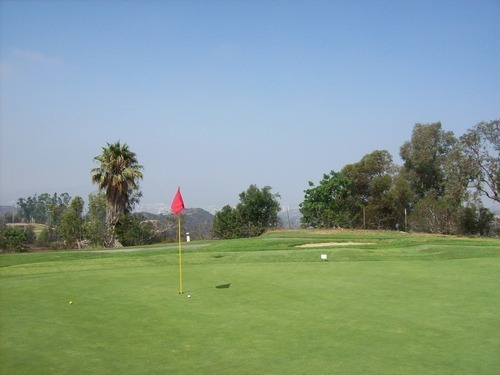 This event was called “Three-Club Monte” and it means you can only use three clubs (putter included). I’ve always wanted to try something like this, so I was looking forward to it. 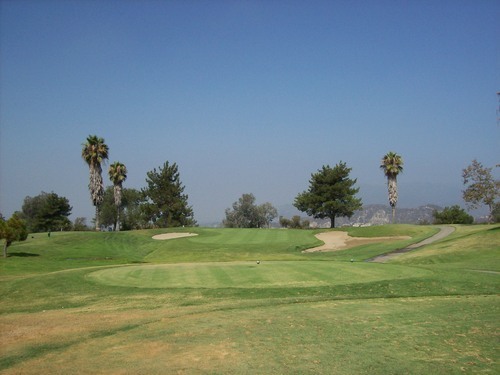 It took place at Scholl Canyon Golf Course in Glendale, which is an executive layout featuring 12 par-3 holes and 6 relatively short par-4s. It’s a course ideally suited for this format and was perhaps made easier by the limitation of clubs. Without a driver in the bag, there was no temptation to “go for it” on all the short par-4 holes (which would likely result in more trouble than success). It was kind of nice not to think about club selection. I was able to use clubs I was comfortable with and just adjust the swing accordingly. 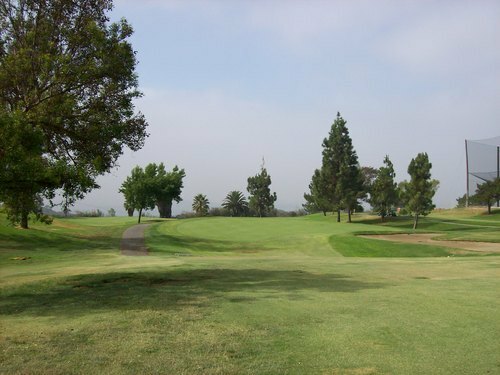 I chose to use my 6 hybrid for longer shots and my pitching wedge for everything else. My club selections were the right ones I felt. 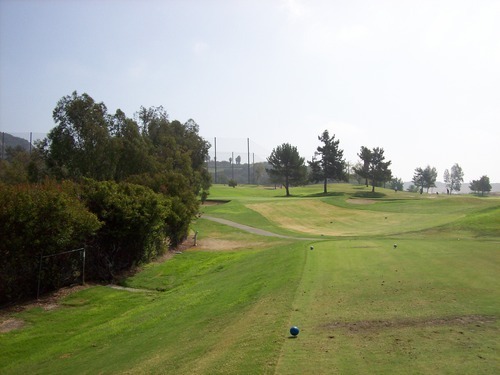 There were only a few times I wish I had my 56-degree wedge for touch shots around the greens, but otherwise, those clubs were all I needed on this course. 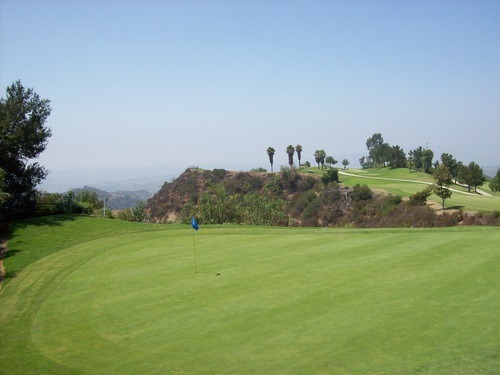 I shot even par on the front nine, but had a few meltdown holes on the back. 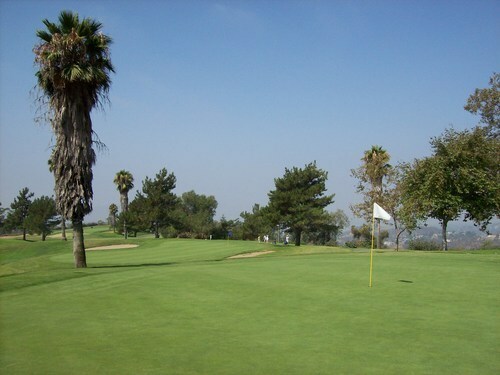 On those three unfortunate holes (which were a mix of bad luck and one bad decision on my part), I was 8-over. Otherwise, I was even the rest of the round. Once the handicaps were applied, I ended up in the middle of the pack even though my gross score was nearer to the top. Oh well, I still had fun with this format and on this course. 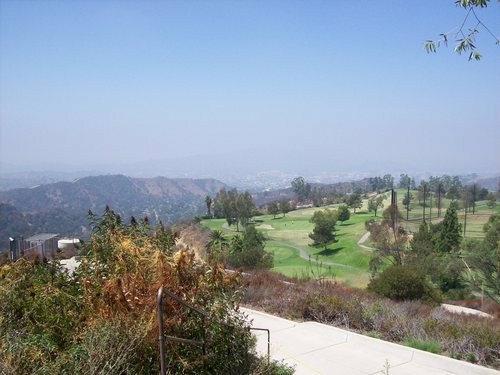 Scholl Canyon is a pretty enjoyable layout up in the hills and has some great views of the city on a few holes, though it was a bit overcast early on in the round and the best views were obscured. The front nine is pretty benign and mostly flat. 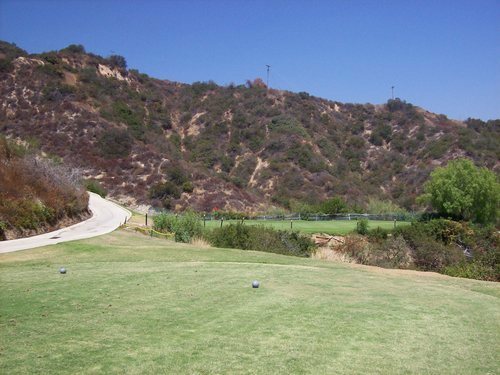 Nothing too exciting there, but the back nine gets much more interesting as you go up and around the little canyon with a lot more trouble to get into. Most of our group chose to walk yesterday (aided by the fact our bags were feather light with only three clubs inside). 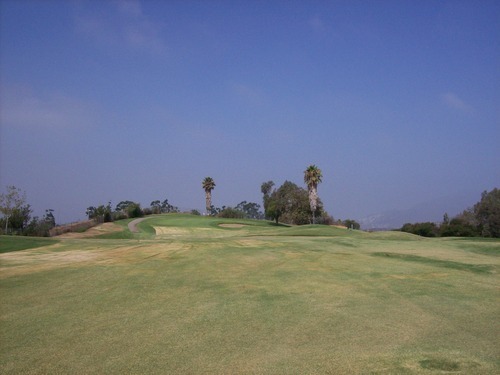 The front nine is very easy to walk, but the back nine is a little more work. 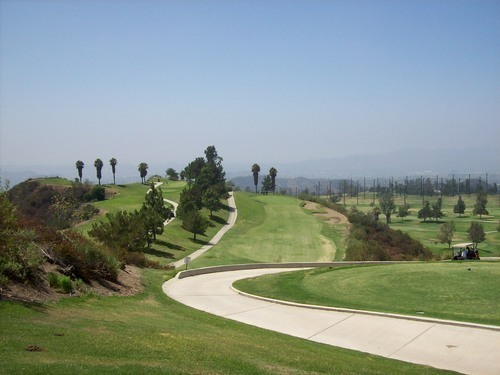 The walk up the long hill between the 11th and 12th holes is pretty brutal on a warm day, but we all survived. The course was in decent shape and a good value for only $22 on a Saturday. Some of the tee boxes were very unlevel, but they weren’t as chewed up as one might expect with all the short par-3 holes there. 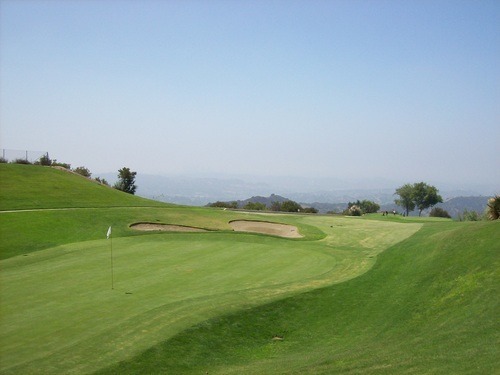 The fairways were pretty dried out and mostly brown in color, but were fine to play from. I only noticed a few “bad” areas. The rough was decent throughout. The greens were in nice shape overall. Pretty soft and spongy, and much slower than what I got used to in the Midwest, but there are some hard-to-read breaks out here with all the hills. The greens add some subtle challenge to this course. 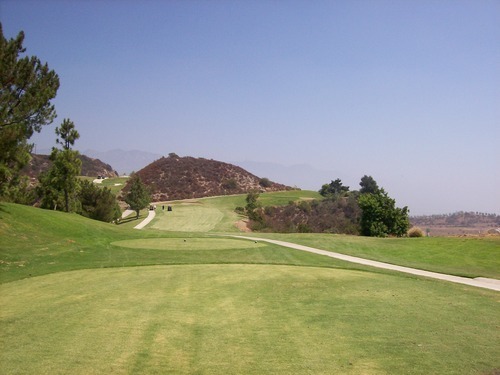 I wouldn’t go too far out of my way to play Scholl Canyon again, but it’s a good practice/beginner’s course that’s more interesting and scenic than most other executive layouts you’ll find. And for our three-club format, I thought it was a good choice. Note: Our group returned to Scholl Canyon in 2013. I posted an updated review and some new pictures. You can check that article out here.